It is not possible to create an arc between the electrode and the work piece just by connecting them in a welding circuit. This is because the current needs an ionized passage for flowing across the gap. Thus, a welding arc needs to be initiated. The method of initiating a welding arc depends upon the process used. However, in general these methods can be grouped into two categories. In one category the ionization of the gases between the electrodes to work gap achieved by the application of high voltage across it and in the other category the electrode and the work piece are short-circuited momentarily by touching each other. The former is used for immobile or fixed arcs and the latter for mobile or traveling arcs. For immobile arcs the electrode and work piece are bought close to each other without touching and a high voltage of the order of 104 volts is applied. As a high voltage at normal mains frequency of 50 hertz will be lethal thus high frequency high voltage is applied, for arc initiation, with the help of the spark gap oscillator. Thus helps in ionizing the gases in the gap between the electrode and the work piece and the arc are, thus initiated in a few milli-seconds. As soon as the arc is stabilized, the auxiliary high frequency high voltage supply is switched off automatically. This method of arc initiation is utilized in the gas tungsten arc welding machine and carbon arc welding machine processes so as to avoid the contamination of tungsten electrode or to eliminate the chance of pickup of carbon from the carbon electrode if touch method is used to initiate the arc. The touch method of initiating the arc is normally used for processes in which the mobile arc is employed. However, it has two variants depending upon the size i.e. diameter of the electrode. For thick electrodes, the arc initiation is done by touching the electrode to the work piece and then withdrawing it. Upon touching, a heavy short circuit current flows in the circuit causing melting of minute points of contact. When the electrode is withdrawn it results in sparking and ionization of the gap between the electrode and the work piece. If the arc is not initiated at the first attempt, the process is can be repeated till a stable arc is established. This method of initiating the welding arc is known as ‘touch’ method and the arc so initiated is called ‘drawn’ arc. The method is used for arc initiation in arc welding machine process or SMAW process. 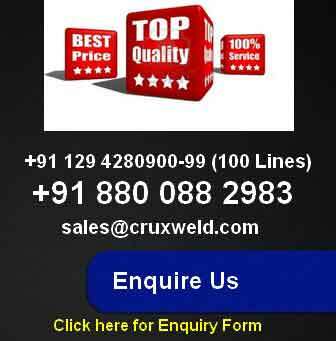 For welding with wires i.e. thin electrodes an electrode is fed to the work at a pre-set rate. As soon as it touches the work piece, heavy short circuit current flows through it and the electrode melts resulting in ionization is adopted for gas metal arc welding or MIG welding machine and SAW welding machine and their processes, both in the semi-automatic and automatic modes. In some limited cases the welding arc is also initiated by placing a ball of steel wool between the electrode and the work piece. When a heavy current flows through steel wool it melts and in the process provides an ionized and metal vapour path for the flow of current and a stable arc is established. 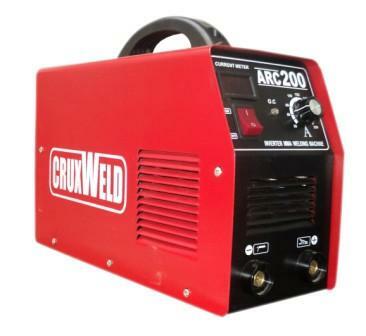 This article covers arc initiation for different welding machine like arc welding machine, mig welding machine, tig welding machine, plasma cutting machine.